At Mystery Playground, we love New Orleans and Mardi Gras. 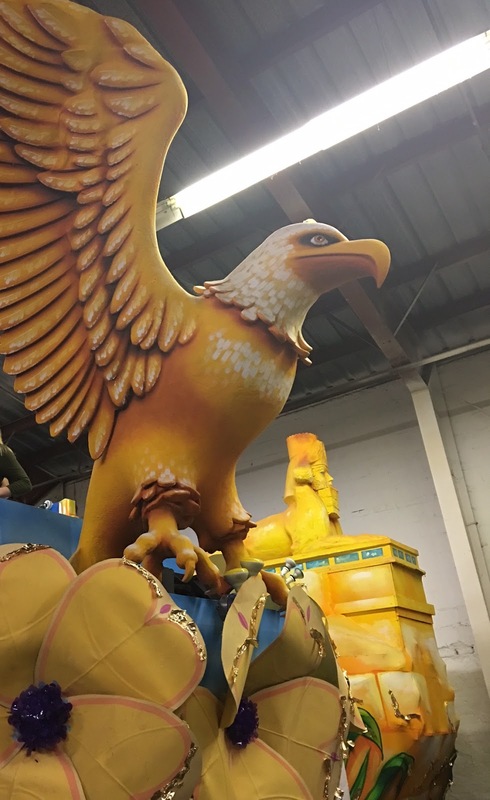 Today we have a preview of some of the floats for the Knights of Babylon parade, direct from the Babylon float den. The Knights of Babylon Mardi Gras parade rolls this Thursday night (5:30 pm, Feb 4th) in New Orleans. It's so fun to see the floats up close. You can see the entire Mardi Gras parade schedule here. To see Babylon float previews from previous years, click here and here.